Servicing and repairing all makes and models, we arrive where you want us with what we need to get the job done. Holden, Volkswagen and Toyota are all attended to on site at the best time that suits the vehicle owner, not the mechanic. Cutting out the workshop saves you valuable time and money in travelling and arranging alternative transport for a schedule that fits with your mechanic. 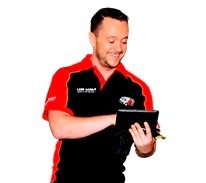 In your local area our mechanics have already completed on the spot services and repairs for Holden, Suzuki and Saab. As a mobile mechanic, your specialist has what they need to complete your vehicle’s repairs and service on time. Using only quality parts like automatic transmission, cam angle sensor and engine mount your repairs are completed on site without the need for follow-ups or trips into the workshop at all. The service was excellent and Hayden was extremely friendly and helpful. I hope it’s the same in Perth when we use the company. Damien is trustworthy and polite. I would recommend him to my friends. Keep your service history up to date on your Mercedes and Audi without the hassle of being without your car for long periods of time. Happy clients already using the benefits of a fully mobile mechanical service have offered over 9 from the Eastern Suburbs Sydney region. Take advange of the 20 Lube Mobile has in your area. 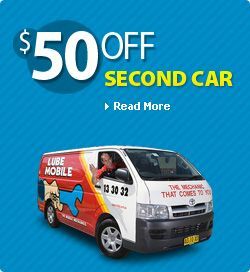 The Lubemobile fleet of mobile mechanical specialists operate in Bondi, Random Surrounding Suburb 1], Mascot and Bondi. We operate everywhere that you are. Our fleet are the fully mobile mechanics attending to vehicles all over Australia. We are ready and active and in your local area attending to over 396 vehicles in the past year. Book a car service today for the time and place that best suits you and our mechanic will arrive on time with they need to complete everything on site. Common vehicle services in your area include Log book servicing and our mobile mechanics arrive equipped to work on anything from yearly service to throttle positioning sensor check, as well as on site specialist tyre and wheel work.